There's a sweet simplicity in living without excess, no matter the reason why. We don't get tangled in our pride. We learn to be content with what we have. Our heads, hearts, and homes, can be clearer and cleaner. 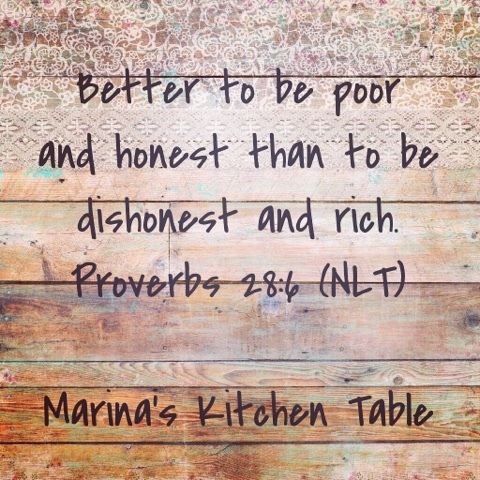 Don't ever despise a low income! Learn to embrace it, to live on less and give generously if you can.